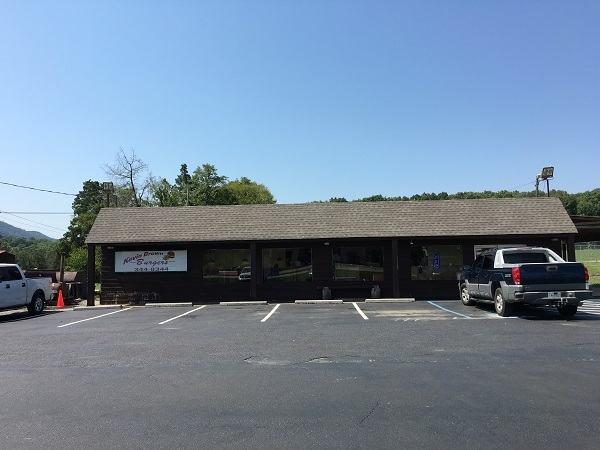 Kevin Brown’s Burgers & Bar-B-Q, Ooltewah TN (take two) – Marie, Let's Eat! A few weeks ago, my son and I went to have some lunch and correct an omission in our blog that had been bothering me. I have a small confession to make. You know that barbecue page of ours, and that number in the little bold italic part below that says we’ve done written about more than 390 different barbecue places? There’s one that has always had an asterisk next to it, because I only had a sample of the brisket on that visit. That’s Kevin Brown’s place outside of Ooltewah. No other restaurant in this area has demanded a second visit quite like this place did, and so a few weeks back, my son and I drove out there. He was going to have a burger and I was finally going to dig into their chopped pork. Clearly Brown stands by the quality of the meat that goes in his smoker. The name of the restaurant, per the menu if not the sign, is actually Kevin Brown’s Burgers & Bar-B-Q. And yes, these burgers are still real, real nice, but the chopped pork was a very pleasant surprise. I’m still trying to decide what the Chattanooga baseline is; wherever I decide, Kevin Brown is a little bit above it. The pork is very smoky and flavorful, but honestly a bit greasier than I prefer it. After I tamped it down with a couple of napkins, it was much, much better. The slaw and the fries are completely terrific, and while it may be a bit pricier than many plates in town, it’s better than most as well. The only downside was the sauce, a sticky brown chemical brew that tastes a whole lot like what they give you with chicken nuggets at McDonald’s. I gave the meat a few drops of Texas Pete instead and it turned out all right, but man, I’m so glad that I asked for the meat dry. A pork plate here is a little pricier than what you might expect to pay at a little roadside stop like this way out in the country – it’s north of the Ooltewah city limits, about halfway to Georgetown – but the food is very good, the service is excellent, and the servers were incredibly sweet to my son and very attentive. The sauce and the grease prevent me from giving the pork a uniformly enthusiastic recommendation, but I think both the barbecue and the burgers are worth the drive. I suggest that you come with friends and share a few things. Are you planning a barbecue road trip? 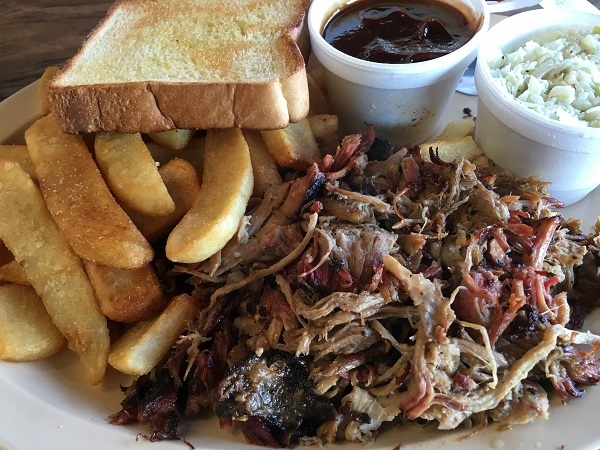 You can see all the barbecue restaurants that we have visited for our blog (more than 390, and I mean it this time) on this map, with links back to the original blog posts! 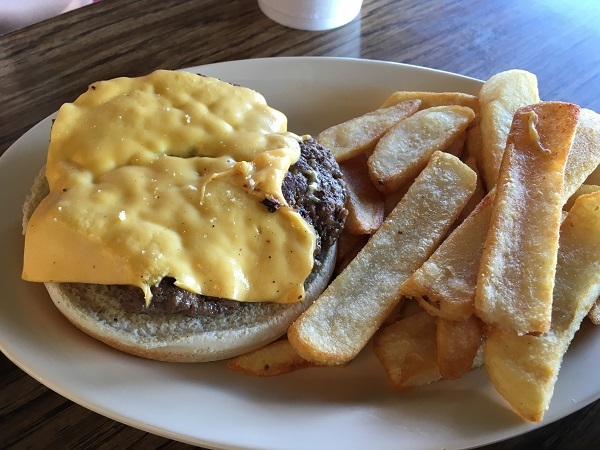 Posted on September 11, 2016 by Grant G.Posted in barbecue, burgers, chattanooga, tennesseeTagged barbecue, burgers, chattanooga, ooltewah, tennessee.